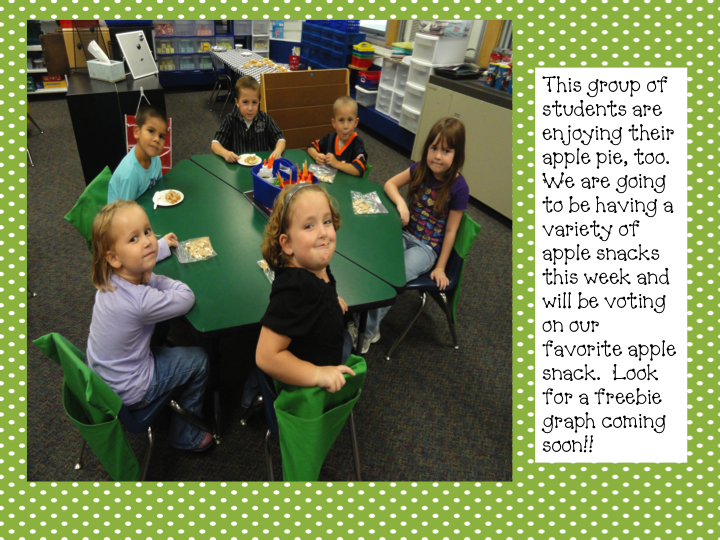 We have officially started our fun apple unit. The students have been having a blast. 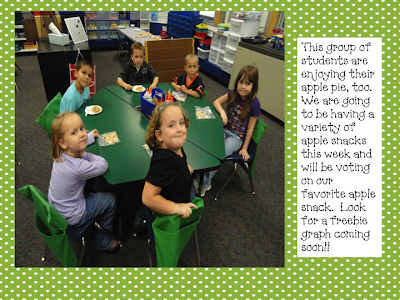 Our goal each day is to have an "apple"snack then on Friday we will be voting on our favorite apple snack. 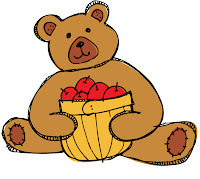 Applejacks, caramel apples, applesauce, apple pie, plain apples, and apple cider are snacks that are on our list. 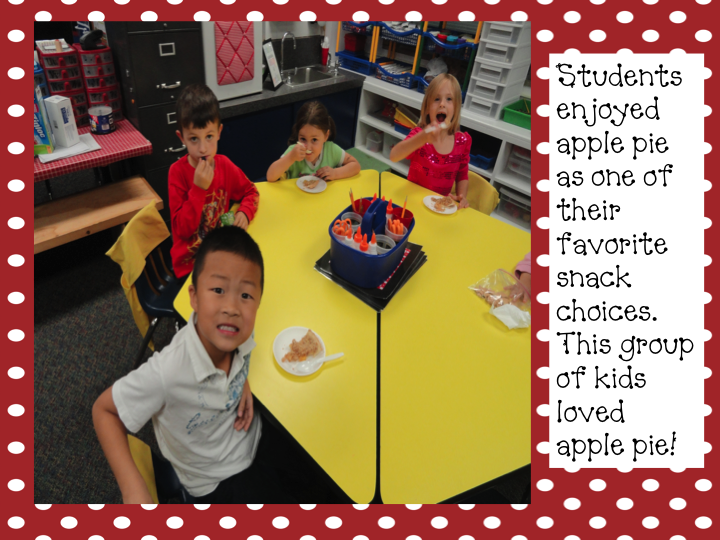 Some students had never tried apple pie before and thought it was delicious!! We played some of our fun TPT Apple Unit games today. Our Alphabet game the students did a great job of matching the capital letters and lowercase letters. I gave each child a turn and EVERYONE matched their apple perfect. We also reviewed the sounds that the letter makes. After we all agreed on the match, we wrote our answers down on the provided sheet(in our TPT packet too) and practiced writing our capital and lowercase letters. I pulled this document and copied it onto my SMARTBoard and it was a great model for the students. 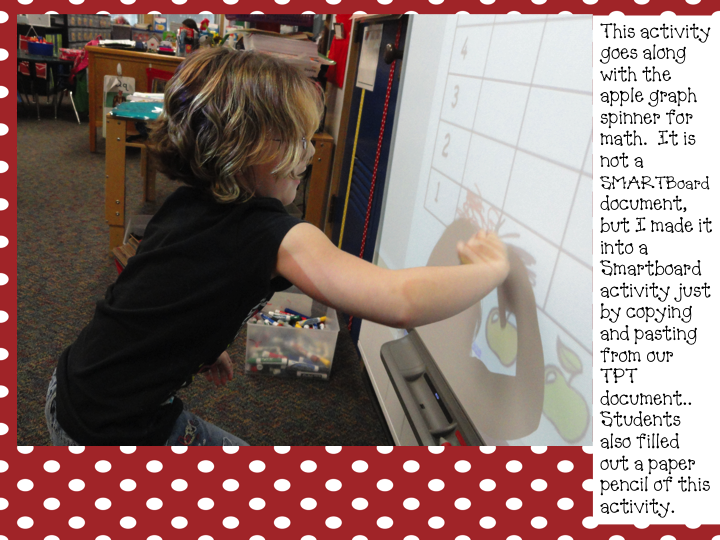 Another fun game we played today was our math spinner game which is on our TPT store, too. 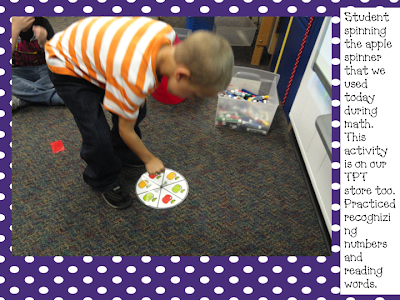 The students were able to spin the spinner and whatever color it landed on, we graphed it together. Again, the students had their own copy of this graph and I pulled my copy up on the SMARTBoard. Boy did they ever sit quietly when I told them that I can only call on quiet people to spin and color my graph in on the SMARTBoard. We completed this activity towards the end of the day and the students said they couldn't wait to play it again tomorrow. 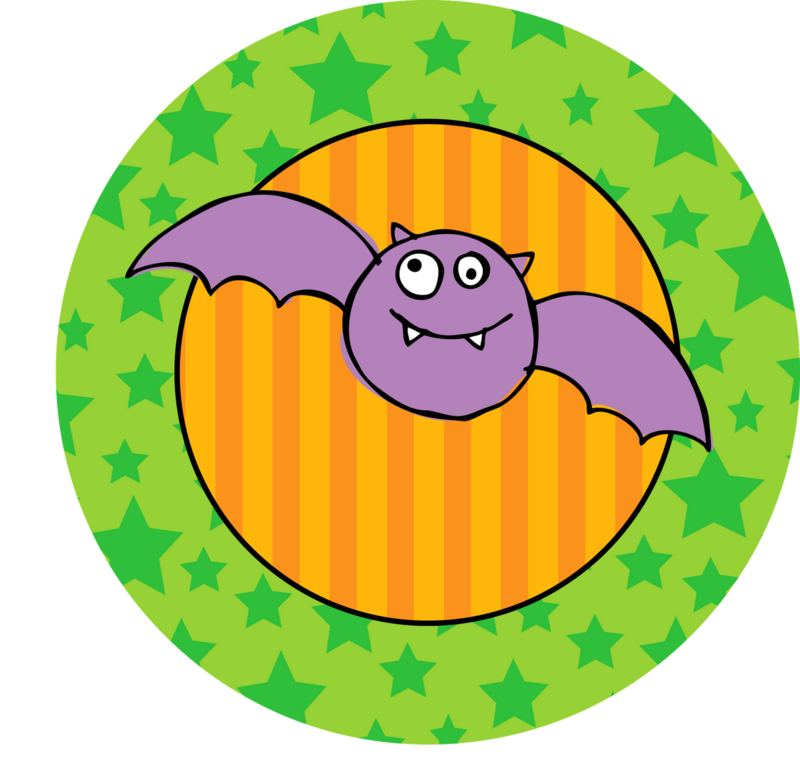 We have finished up our October Math Journal Packet which is ready to go on TPT. This journal is ready to go for teachers. Just download it and put it right on the copier. NO CUTTING. 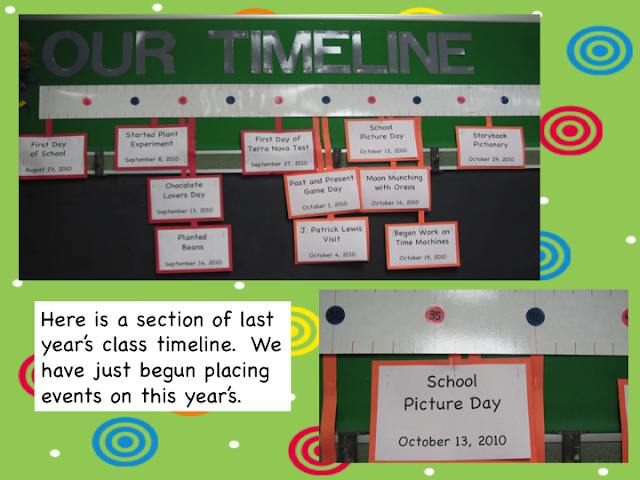 I will share what it looks like tomorrow on our blog. It reviews many math items!! Can't wait to copy it tomorrow to have it ready to go for Monday!! We are really beginning to get into our routine. Today was our 18th day of school(really 13 for kindergarteners) and I am amazed at the progress. Improving fine motor skills has been one of my goals. The kiddos have done a fabulous job with their theme projects. Tomorrow I am passing back a lot of art work that we have had hanging up, so I thought I would share some of our fun things with you before they go home. 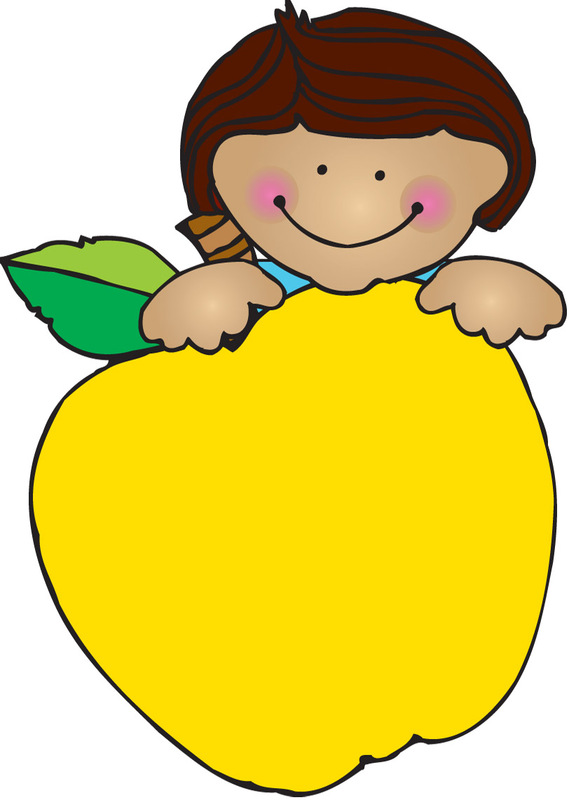 Chicka Chicka Boom Boom has been our theme book this week along with Johnny Appleseed. 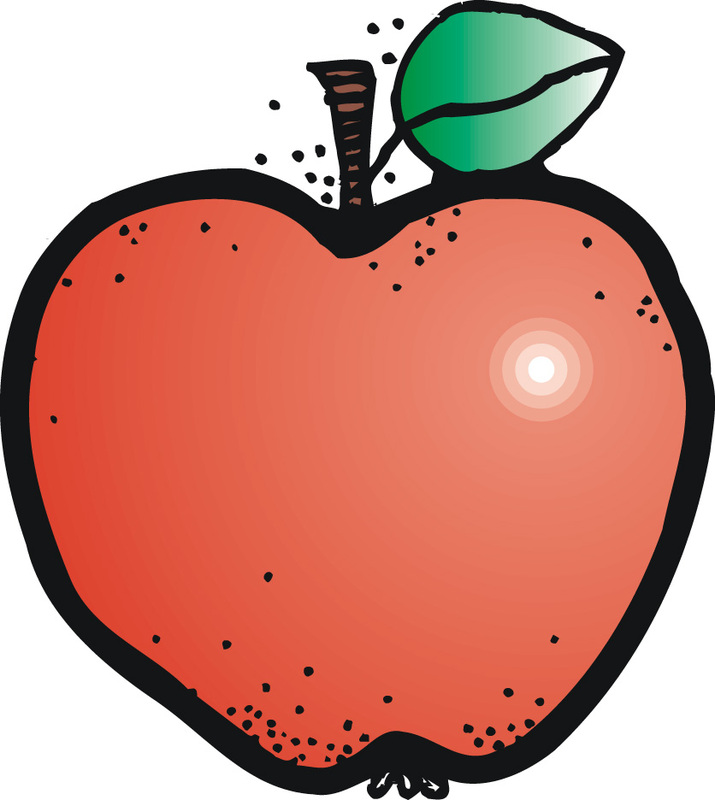 I have a ton of fun projects on Johnny Appleseed to share with you this week and all of next week!! 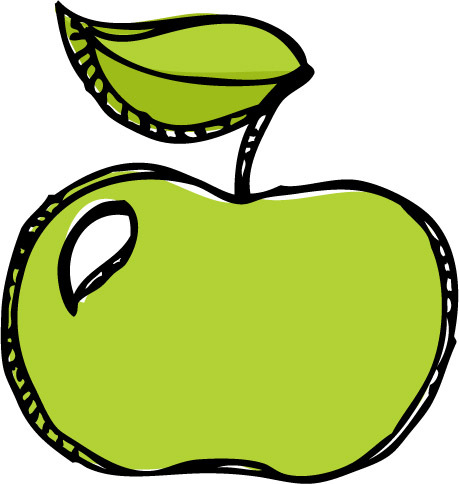 We also have some apple graphs/spinners on our TPT store and a fun SMARTBoard apple activity. 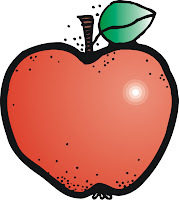 I will share more this week and next week with apples. These are our Peacemakers that came from Julie Lee. A modified version of The Wheels On The Bus by Deanna Jump. Our Chicka Chicka Boom Boom name trees. Our version of collecting data about the color of our hair. Deanna Jump and Little Giraffe's gave me this adorable activity to go along with The Kissing Hand. I decided to add a little bit of ribbon to it so that parents could hang it at home. The kids loved making their handprint with a parent volunteer. An up close version of this handprint from The Kissing Hand. I will share what the back looks like tomorrow. I forgot to take a picture tonight of the back!! I am truly amazed at how well the students are understanding leaving space and putting punctuation at the end of the sentences just from about 2 weeks of guided journal writing. The biggest improvement that I have seen in their journal writing is their being able to sound out the words and their handwriting/formation of the letters. They love to draw a picture to illustrate what we wrote and part of our writing rubric is that they draw a picture that matches what they wrote. They also have to be able to label the picture. They truly are understanding why they are learning the sounds so that they can make a connection with reading/writing. Next week I plan to introduce them to the actual writing rubric for all kindergarten students in our district that is based on a 4 point scale. I will share this with you as we work on it next week. 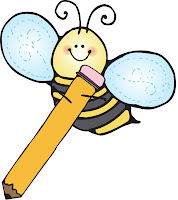 We do a monthly writing that is done independently. 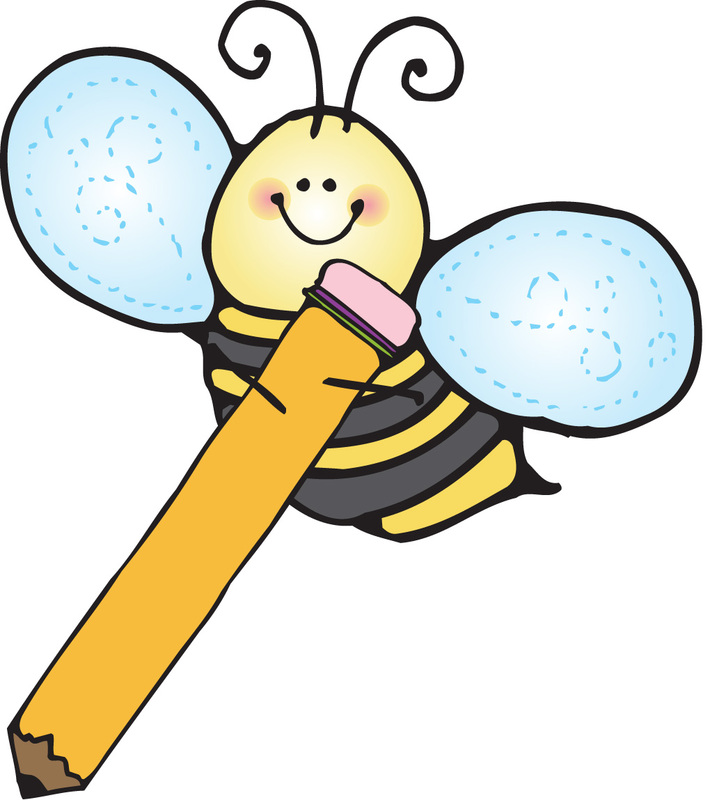 This writing is scored and sent home to parents each month so that they can monitor their child's progress. We both talked today of how busy we have been the last few days. It seems like we get so involved with doing projects with our class that we completely forget to take pictures of our fun projects. I just got back most of my permission slips so I plan on being able to take a lot of pictures tomorrow of completed projects that we have done and projects that we are working on tomorrow. We were just wondering what you find the best way to delete any faces/names when parents do not give permission for students to be on the web. We don't want to exclude them, so we will keep them in the group pictures...but what is the easiest way to delete them before you post them? We also want to take this time to thank Mrs. Davis from Carried Away Kindergarten and Andi from Pencils Glue And Tying Shoes for giving us The Versatile Blogger Award. Please check out their darling blogs!! Man oh man have we been busy trying to wrap up some fun fall units and keep our classrooms running at the beginning of the school year. But we did it!! 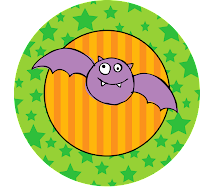 We have completed our new apple, Halloween, and monster units for TPT. Some of these units include matching sets with numbers 0-20, addition/subtraction facts to 20, spinners, graphing, sorting, more/less spinners, and capital/lowercase matching. Since we just finished them hot off the press we do not yet have pictures of students using them, but we took some pictures of these items that you can purchase over at our TPT store!! Once we use the units, we will take pictures for you to enjoy! You will have to head over to Fabulous In First to enter her graphic giveaway. We just entered and are keeping our fingers crossed. She has both Thistlegirl Designs and KPM Digital Doodles giving away a collection of your choice if you are the winner!! We have some great items coming REAL soon from KPM for the fall that we have been working on the last week!! Just saw where Julie Lee has posted today about KPM Digital Doodles, too!! Good luck and hope you enter!! We saw this idea over at Teaching Blog Addict and thought it was a great opportunity to have some "Shout Outs" to some blogs that we do go to for many resources. Again, it can't be any blogs that have already won this award...so here are our top 10 blogs. 1. Mrs. Jump's Class Blog was one of the very first blogs that I started following over a year ago. I first started following her class website and loved it, then it eventually led me to her class blog. I go here often to get many creative ideas. 2. 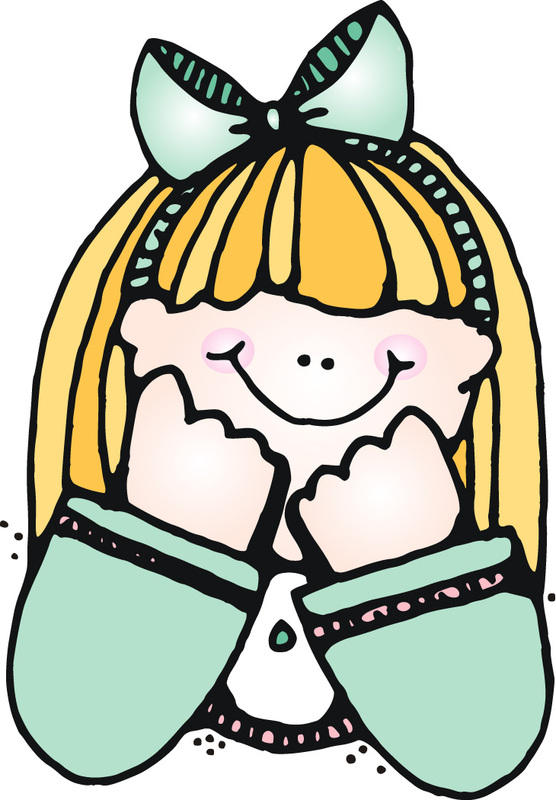 Mrs. Lee's Blog has been a blog that I have followed over a year, too. She has been so kind, is very creative, and answers any questions that I have right away!! 3. Kindergals...What can we say. 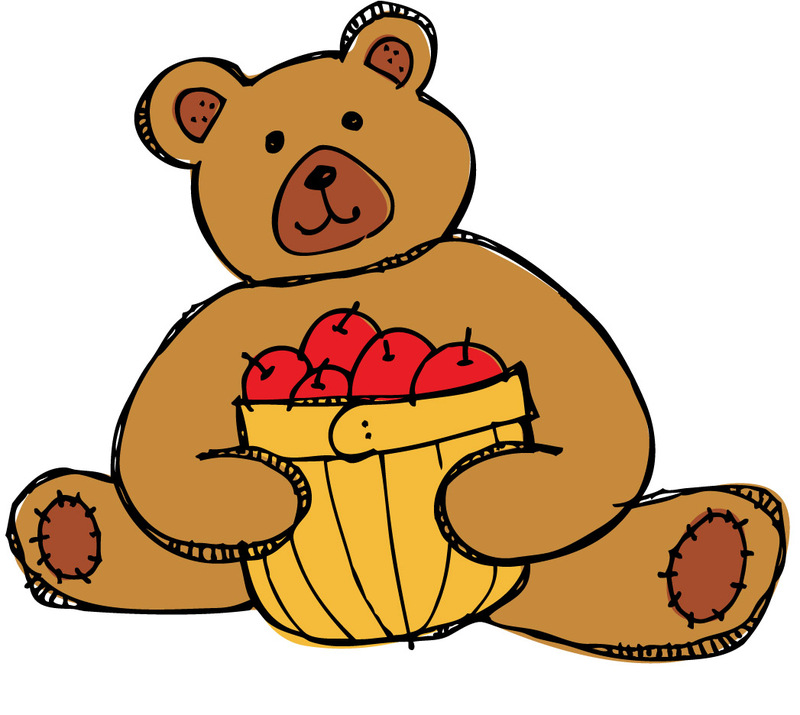 It is a brand new spanking blog and we love it. Soooo many creative ideas!! 4. The First Grade Parade...We have been following Cara over a year, too and all we can say is we think she gets more creative each day!! 5. 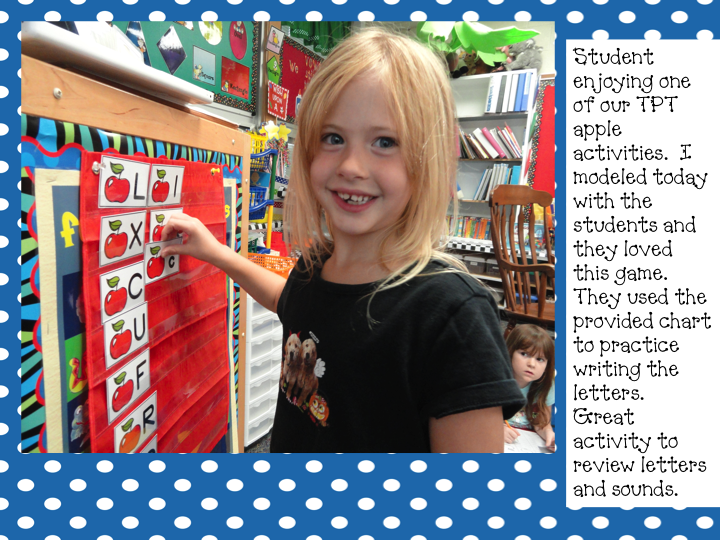 Growing Kinders...I have been buying Kathleens's things on TPT for the past year and love her creative projects!! 6. 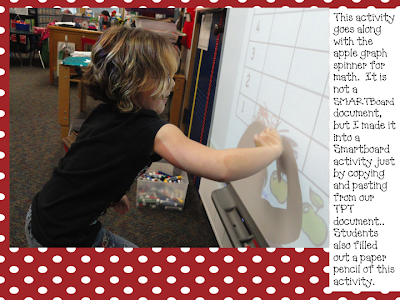 What The Teacher Wants...Such a great blog with a wide range of materials to choose from and one of our first followers!! 7. Mrs. Mayas Kinders This is Julie Lee's team mate need I say more. So fun to go to go to her blog and get fun ideas. 8. Fabulous In First...If you need to add some color in your classroom take a look at this great blog. 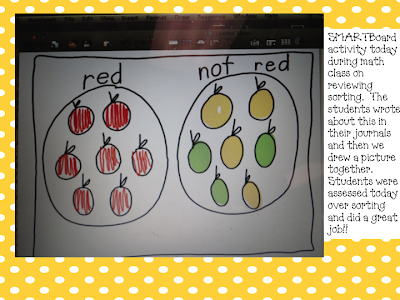 We both love primary colors in our classroom and Michelle definitely provides color. 9. Little Literacy Learners...One of the blogs that we found this summer and was so kind to honor us with an "Award" for a new blog that inspires her. 10. Doodle Bugs Teaching This blog started about the same time that we did this summer and can't believe all of the GREAT ideas that she shares. I have a file full of great ideas that she has given on her blog. Realizing ourselves the dedication it takes to have a blog, we felt that it was a little something that we could "give back" to these teachers who has given us so much over the past several days or years. THANK YOU!!! Starting to think about my apple unit coming up, so SueBeth made me some wonderful spinners and a graph to go along with my unit. She added 4 smaller graphs, too so that if you want to play with partners or just want smaller spinners they are available. I can't wait to print and laminate them!! 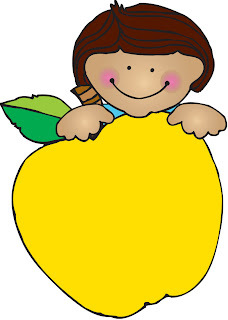 The clip art came from Kirsten at KPMDoodles. I don't plan to start my apple unit for another week or two, but wanted to start to get some things organized. Last year our secretary found some wonderful spinners too that weren't that expensive that I love to use. I will check with her next week and let you all know where she purchased these from for me!! They work wonderful and I use a special scrapbooking tool to punch the hole. I use these for all of my spinners and love it!! We plan on putting more pictures up next week on projects that we have been working on. I just started with kiddos on Wednesday, so we have really been focusing on routines, rules, etc. Lesson plans say that next week I need to get started on focusing on names, starting our reading series, and math series.